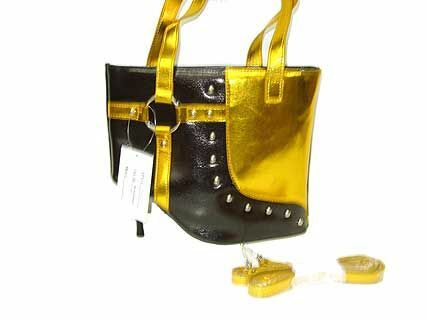 Wholesale Handbags #2410-f Metallic Boot Bag with studs has a top zipper closure, a double handle and a detachable single strap. Made of PU (polyurethane). Metallic Boot Bag with studs has a top zipper closure, a double handle and a detachable single strap. Made of PU (polyurethane).